UPDATE: Bus service was resumed by mid day on Wednesday. Is it a protest strike by the bus operators or are they really bankrupt? In any event, some 60,000 who live in the San Jose’s “marginalized community” of La Carpio have had to walk, bike it or pay for alternative transportation, including informal taxis, to get to and from work, school, medical appointments, etc, since Tuesday afternoon. 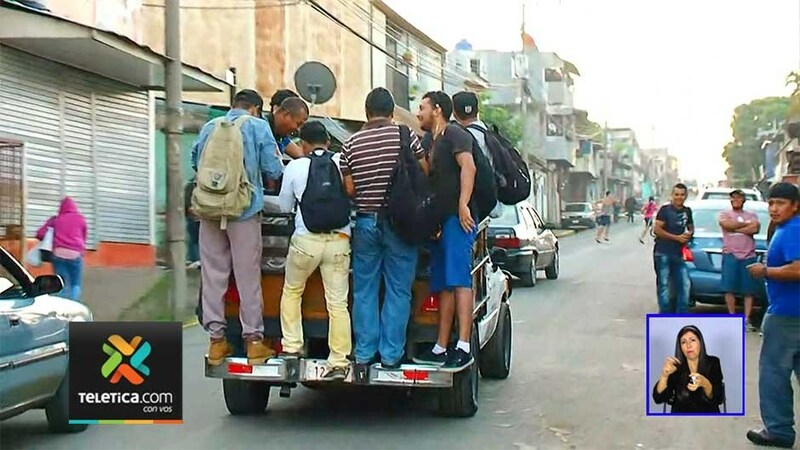 This morning, from the main route to La Carpio from La Uruca, hundreds of people could be seen walking or biking, in the back of pick-up trucks, overloaded minivans and formal and informal taxis loaded with passengers. What was missing were the green colored Biusa buses. Monday afternoon and without any warning, the Biusa bus company suspended service to all its routes from San Jose that includes La Carpio, Hospital Mexico, La Peregrina, Corazón de Jesús, León XIII, Parque de Diversiones, Urbanization Rositer Carballo and Heredia sur. Most this morning were stunned, confused, angry. Some had no idea that there would be no bus service, everyone scrambling for the cheapest alternative. The worst hit, however, is La Carpio, a low-income community sandwiched between the Torres and Virilla river, with only one road in and out. The closest connection to any other bus service is in La Uruca, in the area of Hospital Mexico, a distance of almost 5 kilometers. For this community where most are earning minimum wages, the cost of a ¢1,000 colones taxi ride to San Jose is more than they can afford. Or paying ¢300 colones for a ride to Hospital Mexico in the back of a pick-up truck was too much. 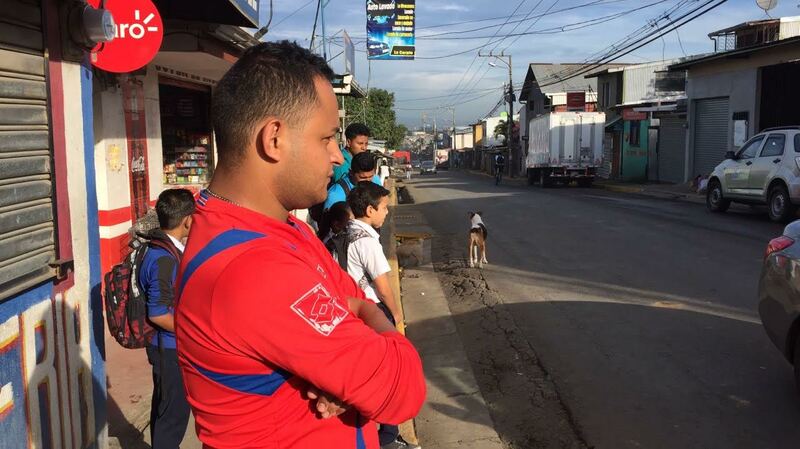 Noel Agiular, one of the informal (piratas) transporters told La Nacion he was charging ¢250 colones and running the same route as Biusa, taking passengers on his red colored bus to San Jose. But he has only one bus. In addition to Biusa, the Guillial bus company stopped providing transportation to Barrio Escalante, Barrio La Cruz and Barrio Mexico. But bus operators are pressing the Autoridad Reguladora de los Servicios Públicos (Aresep) and Consejo de Transporte Público (CTP) to grant them a “financial imbalance” fee. 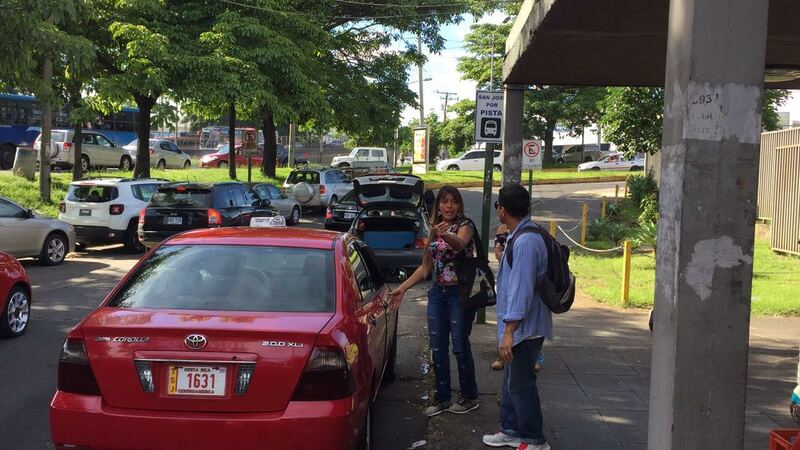 The operators say they are operating new buses and with on-time service, resulting in a financial loss over the last several months due to the failure of authorities (Aresep) to authorize a fare increase. The Ombudsman’s Office (Defensoría de los Habitantes) called the situation “unacceptable”, that thousands of users should be affected by the interruption of this public service. “Bus drivers have the appropriate administrative channels to request tariff adjustments when they consider that there may be a financial imbalance that would affect the operation of the same, however, it is not possible to use as a pressure measure to leave thousands of people without public service to reach their work, educational centers and any other transcendental management in everyday life, ” said the Ombudsman’s Office in a statement this morning. The CTP reported Tuesday that it has begun the process of notification to companies that have an interest in assuming the operation of those routes. For its part, the Aresep explained that the companies, Biusa and Guilial, have not formally submitted a request for a tariff adjustment since 2011. But the question on everyone’s mind is more immediate than the political rhetoric: when will bus service be restored?